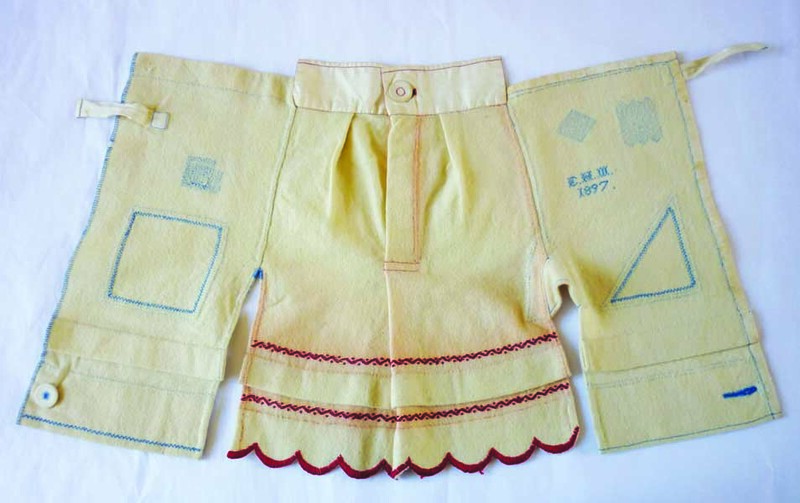 We are continuing to acquire objects not represented in the Hopkins Collection so that we can teach as many areas of historical dress as possible using extant garments, textiles and related matter. Our present focus is on developing our collections of mens’ tailored garments pre-1900, women’s underpinnings and pre-1700 textiles and dress, together with historical sewing samplers. We are also delighted to accept donations of objects that add to our collections. Historical tools are vital to our teaching. 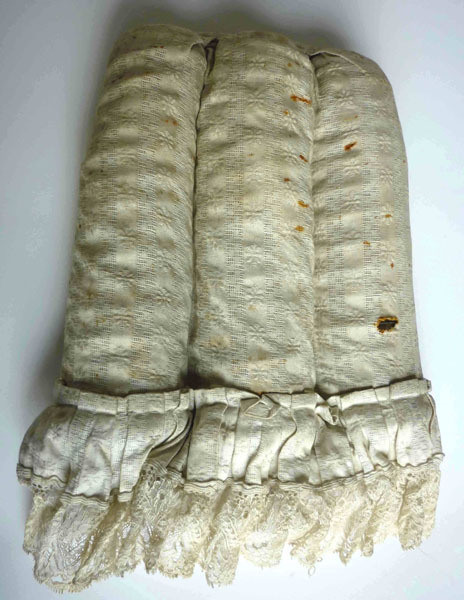 Amongst others we are collecting nineteenth century sewing machines and sewing pillows and have commissioned the manufacture of medieval curved leather knives, iron buttonhole cutters, pinking tools and sixteenth century ruff-setting irons for our students to use. 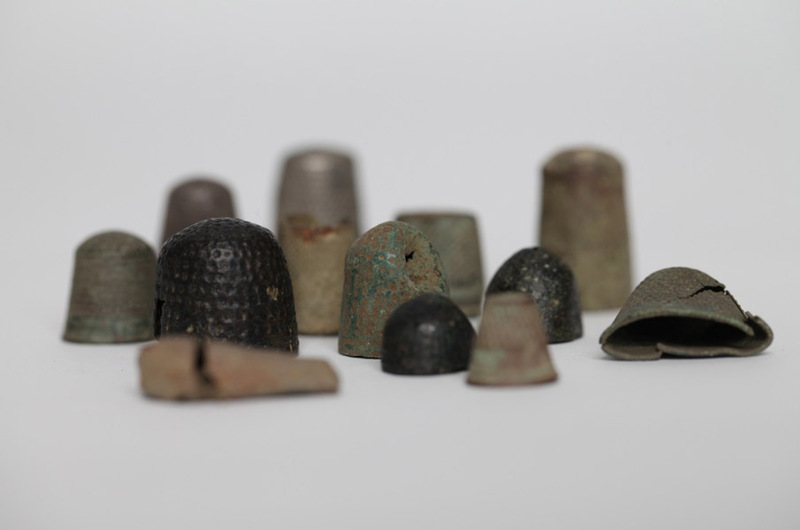 Most of these examples have holes in them where they were used until they were worn through. 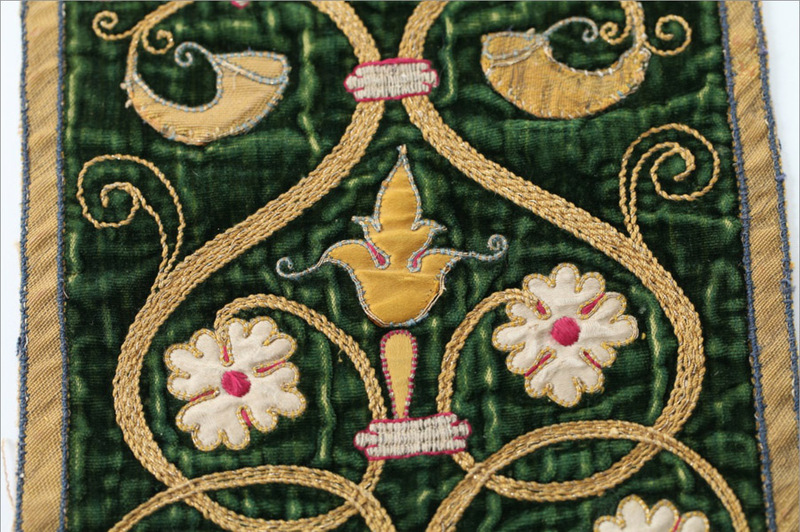 Detail of a rich green velvet dress border embroidered in polychrome and, silver-gilt and silver threads, with applied motifs of cloth of gold, yellow and white silk satin. 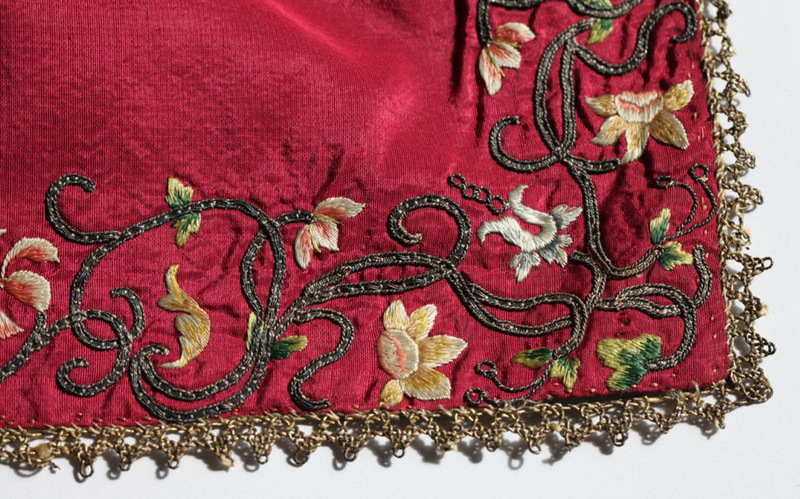 Detail of a red silk cloth edged in silver-gilt bobbin lace and embroidered with polychrome and silver threads in a scrolling design of daffodils, honeysuckle and borage. 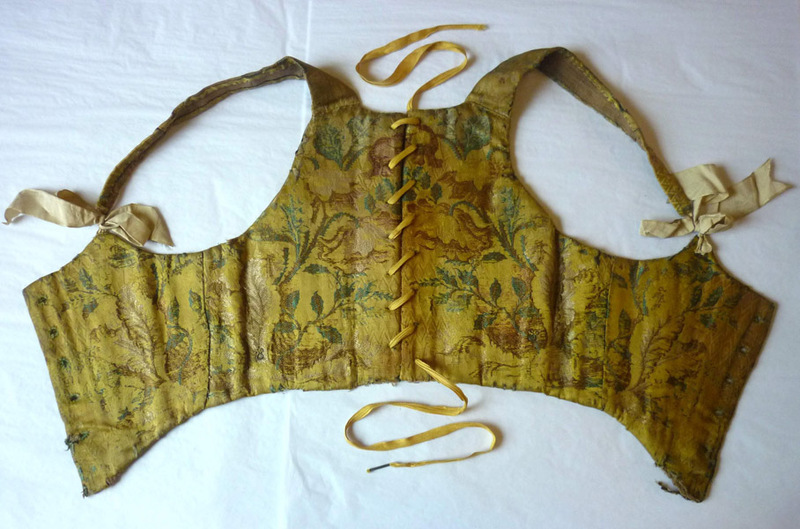 A patterned silk ‘boned’ bodice stiffened with strips of wood, eighteenth century. The ribbons and lace are later additions. 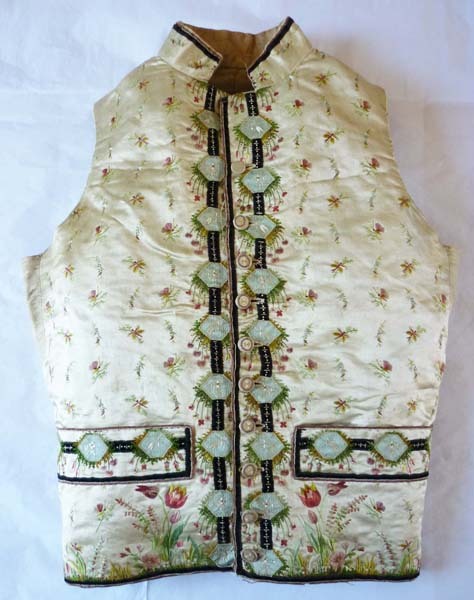 An ivory-coloured silk satin waistcoat embroidered with motifs of insects and flowers in polychrome silks and outlined with black silk velvet ribbon. 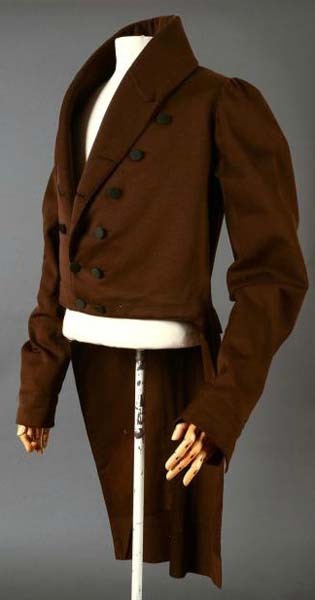 An1820s chocolate brown wool coat with a large padded collar. A late nineteenth century bustle consisting of three iron springs covered in self-patterned cotton fabric. A flannel sampler dated 1897, similar to those that appear in editions of 'Needlework for Student Teachers' by Amy K. Smith in the late 1890s. 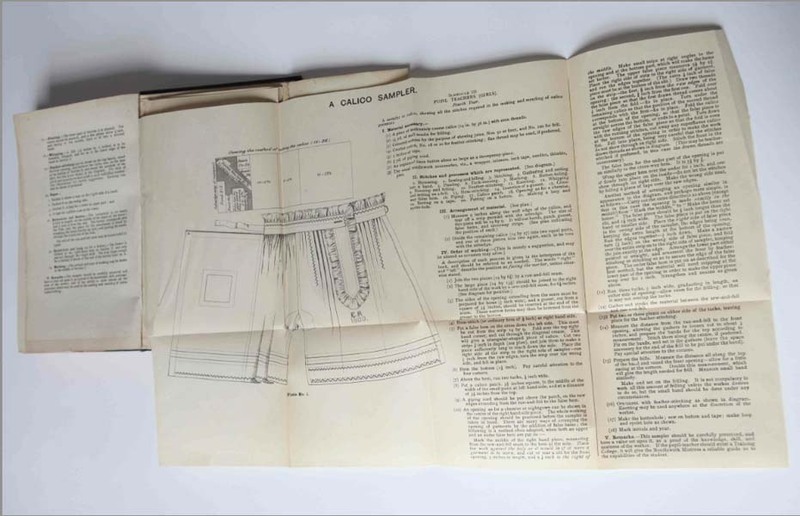 A fold-out page with instructions for making a calico sampler. From the 1899 edition of Needlework for Student Teachers by Amy K. Smith. 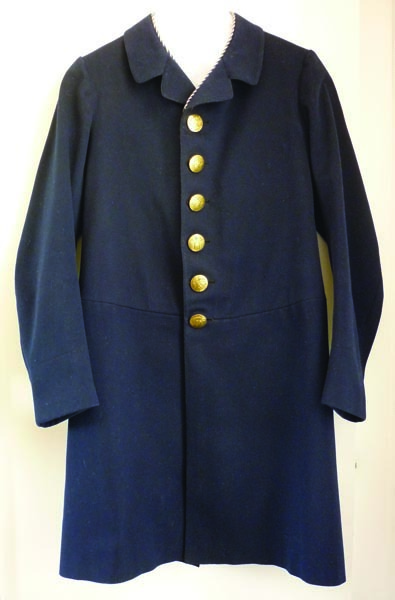 Deep blue wool livery coat reputedly worn by a Monsieur Dumas in the city of Clermont-Ferrand, France.